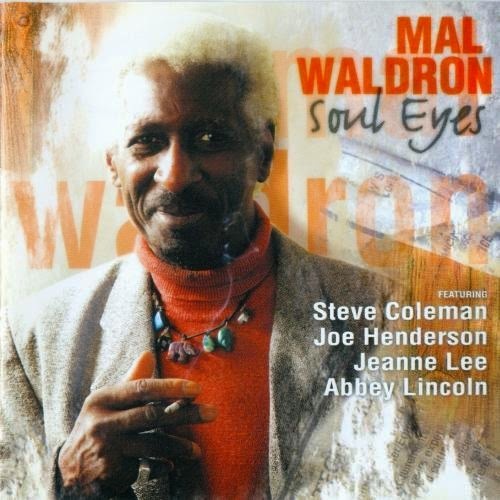 Mal Waldron (pno); Reggie Workman (bs); Andrew Cyrille (dms) + Steve Coleman (alto - two tracks); Joe Henderson (ten - one track); Jeanne Lee (vcl - two tracks); Abbey Lincoln (vcl - two tracks). I was lucky enough to win this CD in the raffle at a recent JNE gig and, compared to most of the review discs I get from near and far, this is akin to either hitting on 5 balls and the bonus ball or the blonde who lives across the street! So, with poetic licence, I will pitch this into the arena as a CD of the month contender. It was recorded in 1997 - a very good year! Waldron has always been a fascinating player and, with assists from Henderson, Coleman, Lee and Lincoln, this is a disc for the wannabees to listen and learn from! It goes on the car player tomorrow - the highest possible accolade!